MS International Ferrara Marron 17 in. x 17 in. 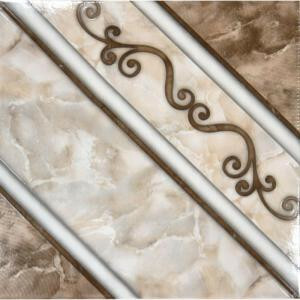 Ceramic Floor and Wall Tile features a high-gloss finish with four tiles forming an elegant pattern to add character to any space. The glazed surface offers durability and ease of maintenance, for a beautiful floor that is easy to care for. With its durability and abrasion-resistance, the tile offers versatile design options in various installations. 26.91 square feet; 13 pieces per case; case weight is 80.73 lbs. CLICK HERE to learn how to get a Lifetime Warranty by using Custom Building Products from The Home Depot. Buy online MS International Ferrara Marron 17 in. x 17 in. Glazed Ceramic Floor and Wall Tile (26.91 sq. ft. / case) NPRFERMAR17X17, leave review and share Your friends.